The Elite Women put on a show Sunday for the UCI C1 race at Trek CXC Cup in Waterloo, Wisc., and the Wisconsin crowd was thrilled to see Racine-native Katie Antonneau of Cannondale p/b CyclocrossWorld grab the win. Antonneau, who entered the weekend as the current leader of the USA Cycling Professional Cyclo-cross Calendar (Pro CX), took the victory in a time of 46 minutes and 18 seconds. For the second day in a row, Ellen Noble (USA) of Aspire Racing claimed second place, 15 seconds back. 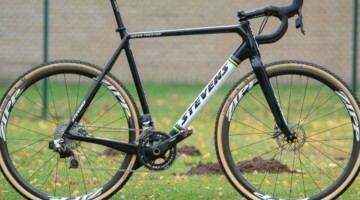 French Cyclocross National Champion Caroline Mani of Raleigh-Clement was forced to pit and swap bikes but went on to finish third, 28 seconds in arrears. “I got a lot of sleep yesterday, and I think I just needed to have a good night’s rest. Racing in the heat takes a lot out of you. And racing ’cross two days in a row takes a lot out of you,” said Antonneau, who finished eighth on Saturday in the UCI C2 Elite Women’s race in Waterloo. “So, it took me a bit longer to recover from last weekend (Rochester Cyclocross). So I know my finish is there and I just needed my head there. Six women jumped to the early lead among the 29 riders in the six-lap course, with Mani driving at the front. 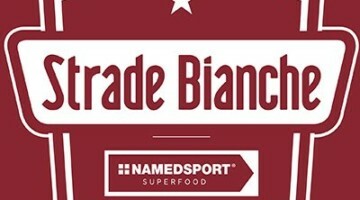 She was joined by Antonneau, Noble, Ellen Van Loy (Belgium) of Telenet-Fidea, Courtenay McFadden (USA) of American Classic/Zones and Saturday’s winner Katie Compton (USA) of Trek Factory Racing. While the skies were clear and the course was dry, a small miscue by Mani caused her to crash on the back side of the course and relinquish her lead. “Katie (Antonneau) passed me, probably with three laps to go. I made a mistake. I was maybe too confident. Sometimes you have to learn from your mistakes. I changed my line in the off camber. I don’t know why. Then I just flipped so hard. Then my handlebar ended up having my shifter all the way up, and it was impossible to ride properly. My saddle (shifted) to the wrong side. So I was just riding like a tourist, and it was a long way to the pit,” Mani explained about her crash in the middle of the race. “So Kaitie passed me and I ended up changing my bike. She was super strong. I couldn’t go at that time. She was smart enough to just attack me after doing a lot of work. And Ellen passed me too, so I said ’OK, I am done’. It was my fault. I cannot blame anybody. 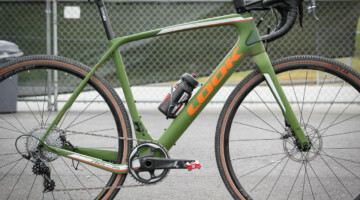 Van Loy finished fourth for a second day in a row, and Day 1 winner Compton came in fifth overall after suffering what was reported to be a broken chain. McFadden was sixth. 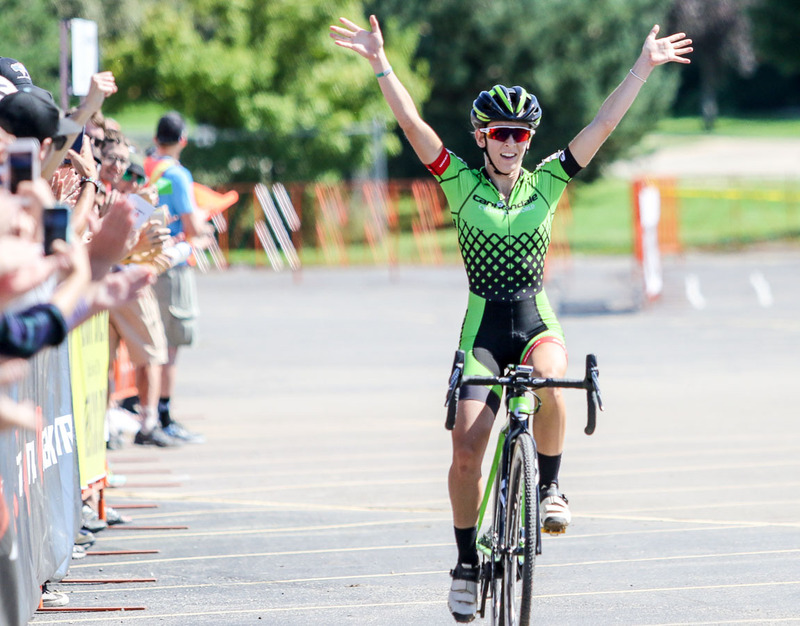 Noble was recognized for a second day as the top U23 women’s rider.She is the reigning U.S. National U23 Champion. The Trek CXC Cup is the second of eight events for USA Cycling’s Professional Cyclo-cross Calendar (Pro CX) in the country for 2016-17. 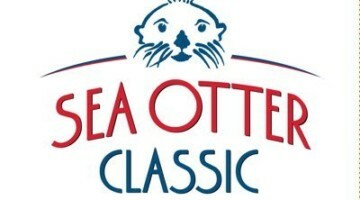 Equal prize money is offered for men and women in the Elite categories both days. The event is hosted at the headquarters for Trek Bicycles in Waterloo, Wisc. It was an all-Belgian finish for the C1 Elite Men’s race. 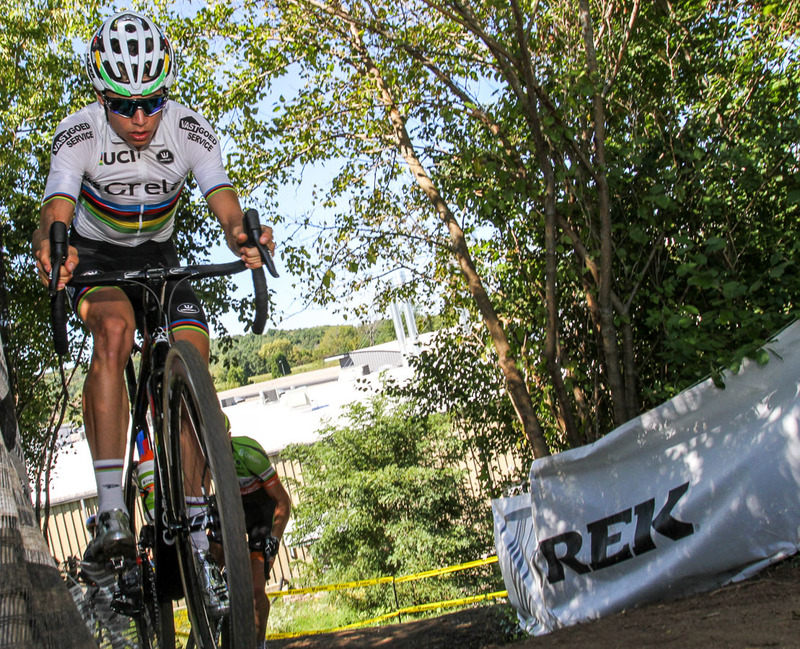 Wout Van Aert of Crelan-Vastgoedservice took his UCI world champion’s rainbow jersey to the top step of the podium and easily won the C1 Elite Men’s race at Sunday’s Trek CXC Cup in a time of 1 hour, 7 minutes, 41 seconds. 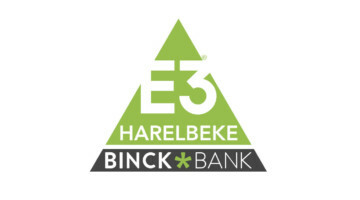 Three Telenet-Fidea teammates crossed the line behind Van Aert, with Jim Aernouts (Belgium) in second, Quinten Hermans (Belgium) in third and Corne Van Kessel (Netherlands) in fourth. It was the second consecutive runner-up finish for Aernouts in Waterloo. 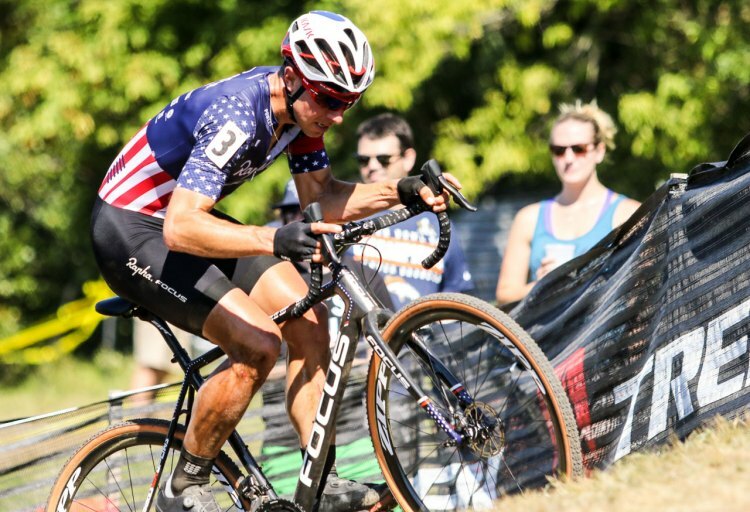 The highest placed American in the 48-rider field was Stephen Hyde of Cannondale Cyclocrossworld, who entered the weekend second overall in the Pro CX men’s individual standings. A significant crash on the first lap ended the day for American Jeremy Powers, who was leading the men’s individual standings for Pro CX. He did not finish the race. Saturday’s UCI C2 race winner Steve Chainel (France) of Cross Team by G4, finished sixth. American Tobin Ortenblad, who won the U.S. U23 National Championship title last year, finished 10th Sunday. Now 24, he did not factor in today’s U23 podium for the Elite men, which was won by Hermans. Full results below. See a full photo gallery from the Trek CXC Cup Day 2 by Jeff Corcoran here, and see our ever-growing 2016 Trek CXC Cup coverage here. 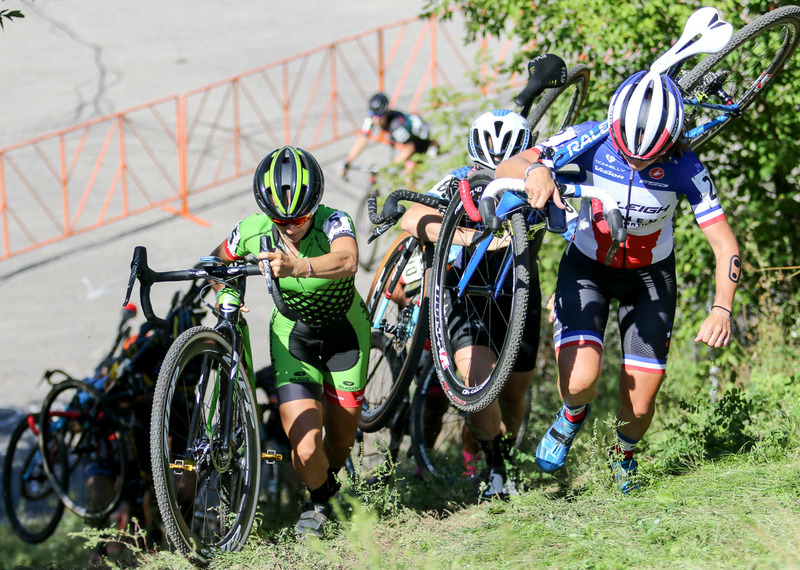 Next on the race calendar for many of these riders will be a World Cup event at Cross Vegas on Sept. 21, which will open the World Cup series for the second consecutive year. This will be followed by Jingle Cross in Iowa City, Iowa, Sept. 24-26. 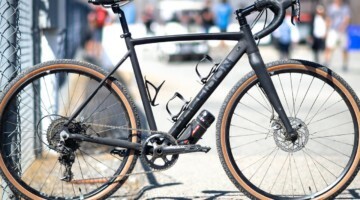 This year Jingle Cross will host the Volkswagen UCI Elite C1 and C2 races on Friday and Sunday, and the Telenet UCI Cyclo-cross World Cup races for Elite men and women will be on Saturday. 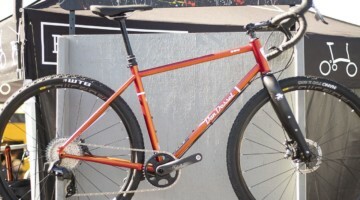 For more details on Trek CXC Cup visit http://trekcxccup.com. To learn more about USA Cycling, visit usacycling.org, and follow Pro CX all season on Twitter – @USACProCX. 10 17 FINCHAMP Hannah Luna Pro Team USA 22 49:06 s.t. 12 9 DRISCOLL James Raleigh/Clement USA 31 1:10:03 s.t. 13 19 WERNER Kerry Kona Cx USA 26 1:10:03 s.t. 14 23 VAN DEN HAM Michael Trek Red Truck P/B Mosaic Homes CAN 25 1:10:03 s.t. 17 25 ECKMANN Yannick Boulder Cycle Sport/ Yogaglo USA 24 1:10:45 s.t. Hey thanks, we should have caught that. Made a bunch of corrections but we missed that.